Do You Want To Download 2.0 Hindi Version Full Movie? 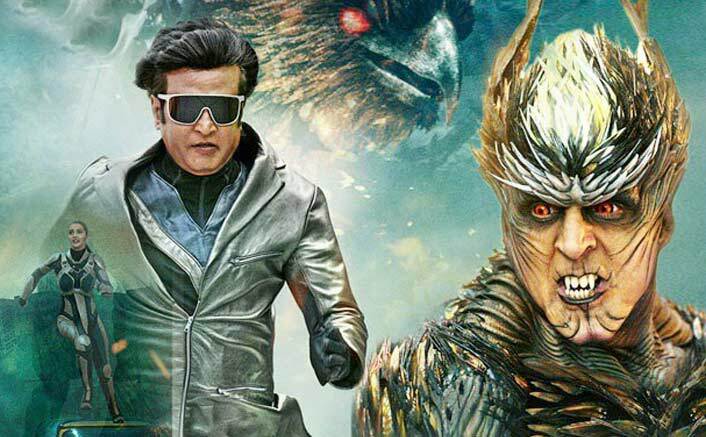 Shankar’s highly anticipated science fiction film 2.0, which has created massive pre-release hype through its dazzling VFX and promotions, has dared to go beyond the known tricks of the genre. 2.0, starring Rajinikanth and Akshay Kumar, is surely a rousing and effective sequel, with a couple of surprise punches. The movie was expected to open to humongous response and beat the records of Baahubali 2, but the current buzz is that 2.0 couldn’t create the impact it wanted to at the box office. Released across 10,000 screens, the movie has already minted Rs 370 crore as a part of the pre-release business. From its Hindi release, the film collected close to Rs 20 crore on the first day and Rs 40 crore from the Tamil version. The good part about the mega-budget film is that it talks about how cellphone towers emit radiation that could harm the habitat of birds and living beings. Given that the movie created so much hype, it was obvious that many would be interested to download the movie for free. As per reports, the Hindi version of 2.0 full movie was leaked online on the very second day of its release. Tamilrockers is the notorious torrent website that hosts pirated copies of films. The website recently came out with Thugs Of Hindostan online and that too in HD! Adding to the worries of its makers, the Tamil and Telugu versions of the sci-fi thriller were leaked online just hours after the movie’s release. In order to save the movie from piracy, the makers of 2.0 took some hard initiatives but it seems like all have gone in vain. In this regard, Lyca Productions Private Limited, the producer of 2.0, appealed in Madras High Court, demanding an order to block all illegal torrent sites. As a result, 37 internet service providers (ISPs) were directed to block over 12,000 websites that spread pirated Tamil films. Now coming to the point, this post is all about the damages online piracy causes to the content creators. We at TopYaps don’t promote online piracy. Given that the makers have put in a lot of efforts (in terms of man-hours and money) to deliver such a movie, leaking such content online will only cause financial burden to its makers. So, our advice is that you should go to a movie theater and experience 2.0 in 3D rather than searching it online. Do You Use Fimlywap To Download Movies? If Yes You Should Read This! R Ashwin Wished Rajinikanth On His 67th Birthday Through A Video, And Thalaiva’s Reply Came As A Shocker! Can You Identify The Breeds Of These Adorable Puppies?